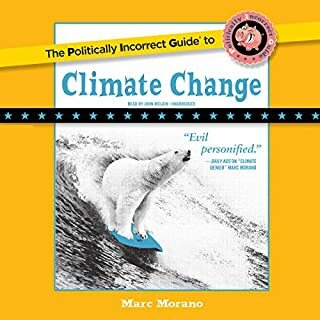 Back by popular demand, the bestselling Politically Incorrect Guides provide an unvarnished, unapologetic overview of the topics every American needs to know. 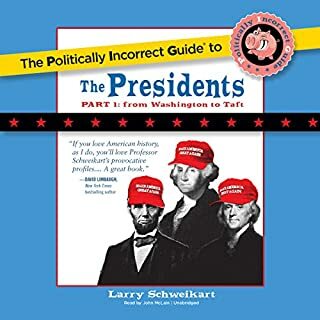 The Politically Incorrect Guide to the Presidents, Part 1 profiles America’s early presidents, from George Washington to William Howard Taft. As presidential candidates sling dirt at each other, America desperately needs a few real heroes. Tragically, liberal historians and educators have virtually erased traditional American heroes from history. According to the Left, the Founding Fathers were not noble architects of America but selfish demagogues, and self-made entrepreneurs like Rockefeller were robber barons and corporate polluters. By: Brion McClanahan Ph. D.
Here to rescue the reputations of our Founding Fathers from the plague of modern political correctness is The Politically Incorrect Guide to the Founding Fathers. Author and Professor Brion McClanahan shows how patriots like Franklin, Madison, and Hamilton laid the foundations of American civil liberty and had a better understanding of the problems facing us today than our current Congress. By: Robert P. Murphy Ph.D. In this timely new P.I . Guide, Murphy reveals the stark truth: free market failure didn't cause the Great Depression and the New Deal didn't cure it. Shattering myths and politically correct lies, he tells why World War II didn't help the economy or get us out of the Great Depression; why it took FDR to make the Depression "Great"; and why Herbert Hoover was more like Obama and less like Bush than the liberal media would have you believe. Good summary of real causes of "Great Depression"
Get ready for a rousing rebel yell as best-selling author H. W. Crocker III charges through bunkers and battlefields in The Politically Incorrect Guide to the Civil War. Crocker busts myths and shatters stereotypes as he profiles eminent and colorful military generals, revealing little-known truths, like why Robert E. Lee had a higher regard for African-Americans than Lincoln did. Academics, journalists, and popular historians agree: our greatest presidents are the ones who confronted a national crisis and mobilized the entire nation to face it. That’s the conventional wisdom. The chief executives who are celebrated in textbooks and placed in the top echelon of presidents in surveys of experts are the bold leaders - the Woodrow Wilsons and Franklin Roosevelts - who reshaped the United States in line with their grand “vision” for America. Unfortunately, along the way, these “great” presidents inevitably expanded government - and shrank our liberties. As the twentieth-century presidency has grown far beyond the bounds the Founders established for the office, the idea that our chief executive is obliged to “preserve, protect, and defend the Constitution of the United States” has become a distant memory. Historian and celebrated Reagan biographer Steven F. Hayward reminds us that the Founders had an entirely different idea of greatness in the presidential office. The personal ambitions, populist appeals, and bribes paid to the voters with their own money that most modern presidents engage in would strike them as instances of the demagoguery they most feared - one of the great dangers to the people’s liberty that they wrote the Constitution explicitly to guard against. The Founders, in contrast to today’s historians, expected great presidents to be champions of the limited government established by the Constitution. 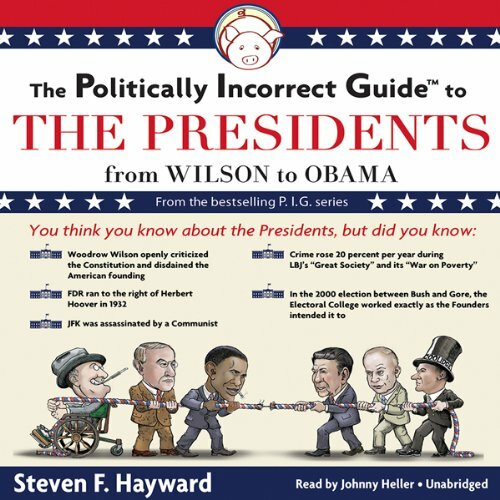 Working from that almost forgotten standard of presidential greatness, Steven Hayward offers a fascinating off-the-beaten-track tour through the modern presidency, from the Progressive Era’s Woodrow Wilson to Barack Obama. Along the way he serves up fresh historical insights, recalls forgotten anecdotes, celebrates undervalued presidents who took important stands in defense of the Constitution, and points the way to a revival of truly constitutional government in America. ©2012 Steven F. Hayward (P)2012 Blackstone Audio, Inc. Interesting information from a well thought out perspective that you won't hear anywhere else. Well read. I loved the 1st edition of the book much better. The historic analysis here was well done, but the critique and grading of each president was blatantly bias. George W. Bush does not deserve the praise and grading he got while he was and is equally abusive to the Constitution as Clinton or Obama have been. Therefore, although this is a great overview of history it is however terribly slanted to make all the conservatives into angels and liberals into demons. 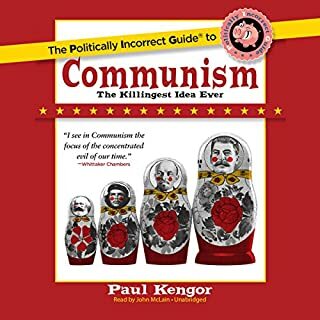 I am not saying this book is useless in any way, just that it is very bias laden in conservative white wash. In sum, it was a nice refresher in modern US History. 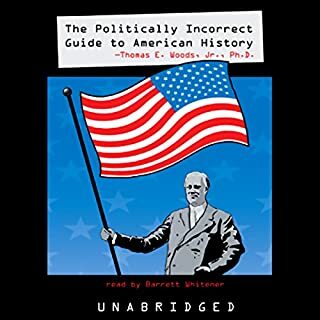 Where does The Politically Incorrect Guide to the Presidents rank among all the audiobooks you’ve listened to so far? Like every book in the P.I.G series, unless your mind is open, you're not going to receive the information. 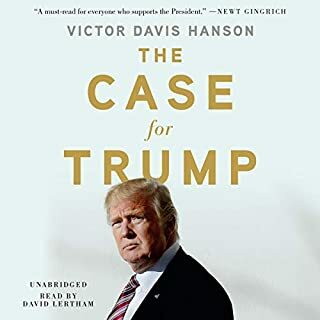 This is an excellent reference - no hold's barred and no party affiliation permitted - offering only facts about each President's actions and how each relates back to the oath to uphold the Constitution. All have failed pretty miserably. Some much worse than others. Unfortunately, this topic is yet another that divides this once great nation; is the Constitution a living, breathing, changing document, or did our Founding Fathers get it right at the beginning? What does Johnny Heller bring to the story that you wouldn’t experience if you just read the book? I really enjoyed Mr. Heller's voice. The gravely quality may not be everyone's cup of tea but I found it especially fitting considering the subject matter. I would love to have a companion version of the first Presidents and how they are graded by the oath to uphold the Constitution. 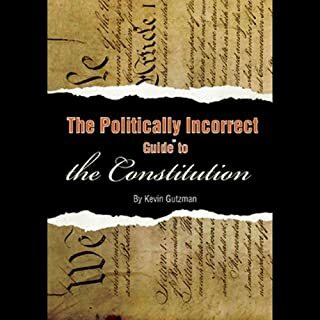 I take some stars off for lying about the constitutionality of Bush ..
can you believe this author gave Bush a B plus for his constitutionality rating?!?! BUSH THE GUY WHO RAISED REGULATIONS AND TAXES. BUSH WHO GAVE US A MEDICAID EXPANSION ...MEDICAID D I BELIEVE ...BUSH THAT LITERALLY BROUGH US BAILOUTS OF BIG CORPORATIONS LEADING TO THE TOO BIG TO FAIL DOCTRINE OBAMA JUST EXPANDED AND USED TO URINATE OVER THE AMERICAN PEOPLE, SMALL BUSINESS AND COMPETITION IN GENERAL. BUSH THE NATION BUILDER...THE CONSTITUTION S FOUNDERS ... WASHINGTON BELIEVED THAT THE NATION SHOULD ALLOW OTHER NATIONS TO GOVERN THEIR OWN AS THEY WOULD...THAT AMERICAN BLOOD WAS TO BE SHED ONLY IN THE MOST RARE CONDITIONS AS TO DEFEND AMERICAN INTERESTS. WE COULD HAVE SIMPLY DROPPED BOMBS, KILLED HUSSEIN AND LEFT THAT PLACE... YES THE VACUUM WOULD HAVE BEEN FILLED BY SOMEONE UNSAVORY BUT AT LEAST THEY WOULD RESPECT OUR POWER WHI CH IS ALL ANY LEADER IN THAT REGION IS CAPABLE OF UNDERSTANDING.... AND THEY'D REMEMBER...BOMB THE US AND LOSE 1000 TIMES THE SOLDIERS AND UR OWN LIVES AS THE LEADERSHIP AS WELL...AS REAGAN DID WITH IRAN. THE WAR IN IRAQ IN FACT SHOULD HAVE AT LEAST INCLUDED SAUDI ARABIA, SEEING THAT THE FUNDING FOR 911 CAME FROM SAUDI ARABIA AND MOST OF THE HIJACKERS WERE FROM SAUDI ARABIA....OH WE COULDNT DO THAT BUT FOR THE BUSH OIL INTERESTS AND A VENDETTA AGAINST HUSSEIN FOR DADDY BUSH. I BELIEVE IRAQ // AFGHANISTAN WAS A BUSH ATTEMPT AT MAKING AN EXAMPLE FOR THE SAUDIS TO SEE ... AND IT FAILED... THE WAR WASNT THE BAD CALL AS THE WAR BILL PASSED BOTH HOUSES... THE BAD CALL WAS NOT ADDRESSING THE TRUE PROBLEM...RADICAL / ORTHODOX ISLAM, SAUDI ARABIA, AND STAYING AFTERWARDS WITHOUT EVEN TAKING PROPER COMPENSATION FOR OUR AMERICAN BLOOD SHED ... EACH FAMILY THAT LOST A SOLDIER SHOULD HAVR RECEIVED AT LEAST 10 MILLION DOLLARS AND NOT HAVING TO PAY TAXES FOR LIFE, EXTENDED TO THE IMMEDIATE FAMILY. BARBARA BUSH SAID IT BEST WHEN SHE ACCIDENTALLY TOLD JEB.." WEVE HAD ENOUGH BUSHES IN THE WHITE HOUSE..." BASICALLY CONCEDING THAT HE SHOULDNT RUN.